Mayor Kevin Faulconer wrapped up his mayoral reelection in the June primary, but several key local races remain for San Diego-area voters Tuesday. In the city of San Diego, Ricardo Flores and Georgette Gomez will square- off for a City Council seat, and while Ray Ellis withdrew from consideration for another City Council seat, his name remains on the ballot against Barbara Bry. Also, Mara Elliott and Robert Hickey will face each other in a race for city attorney. In the county of San Diego, Supervisor Dave Roberts will try to hold his seat against challenger Kristin Gaspar. Experience has been a focal point of the city races, with all of the candidates touting their backgrounds of public service. 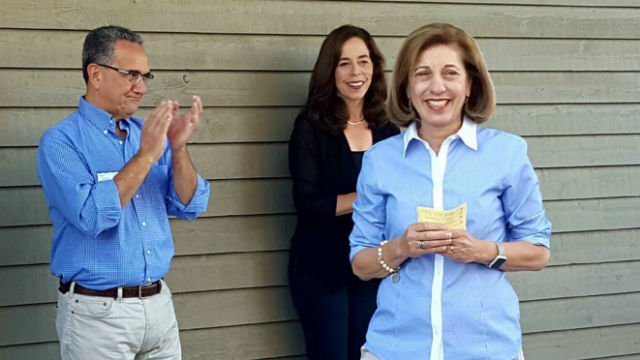 “Experience matters,” Flores said at a recent forum. The chief of staff for Councilwoman Marti Emerald, whom he hopes to succeed, points out that he is a native of the district he hopes to represent. San Diego needs to maintain a sense of stability, with representatives who can see to it that street lights are fixed and roads are repaired, he said. “We need to actually make a difference in the communities,” Flores said. Gomez, a longtime community organizer and activist with the Environmental Health Coalition, said the city has to spend money outside of downtown San Diego. 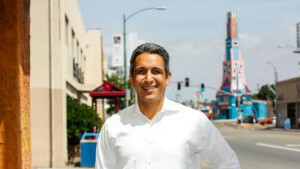 “When we raise the quality of life in all communities, we have a better city,” Gomez said. Flores and Gomez are running for District 9, which runs from the College Area through City Heights to Southcrest. Bry, who has continued her campaign because she still needs votes to take office, said she never expected to run but did for two reasons — the scandals involving former Mayor Bob Filner and watching a road in front of her La Jolla repeatedly get torn up. With a likely win, she would succeed Sherri Lightner in District 1, representing Carmel Valley, La Jolla and University City. Elliott, a chief deputy city attorney, and Hickey, a deputy district attorney, have also touched on the experience factor — Elliott after 20 years in the City Attorney’s Office and Hickey with two decades as a county prosecutor. 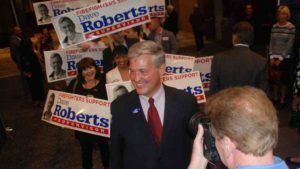 In the county race, Roberts survived a scandal over the way he managed his staff to make the runoff election with Gaspar, the mayor of Encinitas. Last year, the Board of Supervisors agreed to pay $310,000 to settle claims brought by three former staffers who accused Roberts of misusing his powers.